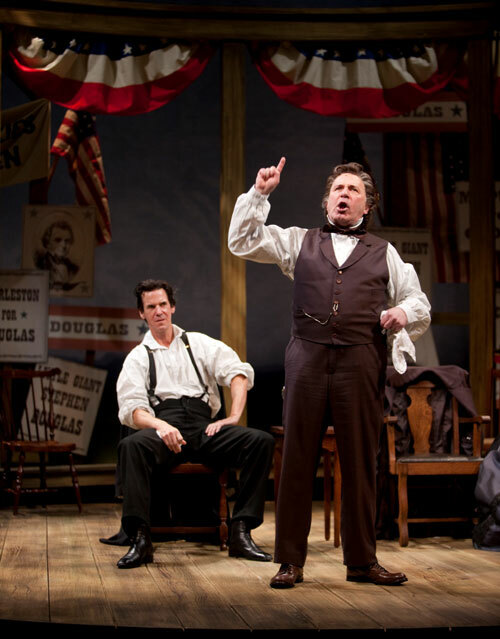 What ho, presidential history nerds: My review of Ford’s Theatre’s new production of Norman Corwin’s The Rivalry is up over at DCist. Corwin is still alive, kicking, lecturing and teaching at the University of Southern California, by the way, at the improbable age of ninety-nine. Among the dozens and dozens of fine radio plays to his credit is one called The Plot to Overthrow Christmas that he wrote (in verse!) more than half a century before FOX News alleged the existence of any such thing. I used a little snippet of it in my audio holiday card the year before last. Sir, my hat is off to you. We’re supposed to forgive our enemies, drink less, play fair, love but one person at a time, measure ourselves not against others. When our friends succeed, we’re expected to be happy. Of easy choices and pain-free obedience are boring stories made. Itamar Moses 2008 two-man-play The Four of Us is never dull, and given the picayune-ity of its stakes, that’s much more than the faint compliment it sounds like. 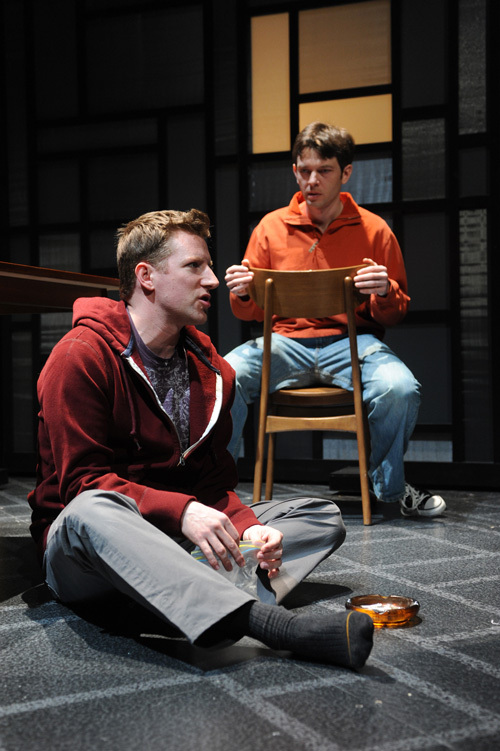 Moses’s deliberately paced narrative dissects a friendship among two boys-to-men over a ten-year period. We meet David and Benjamin in their mid-twenties. One’s a playwright, the other a novelist who, as comes to light during an increasingly fraught after-dinner chat, has just had the nullifying prefix “aspiring” blasted off of his title in spectacular, quit-your-day-job fashion. Life is hard. Life is hard and long. Life is hard and long and cold and pointless, and so it shall be for our descendants a thousand years from now, until at last, perhaps, the mystery of creation is revealed. Until then, we must suffer and endure. Any respite from said suffering and endurance shall be brief, and shall chiefly take the form of alcoholism, gambling, infidelity, and should we be so lucky, duels. No wonder Anton Chekhov thought his plays were comedies! Well, that’s that. Nothing important has happened in the world, but Conan and NBC have reached détente. 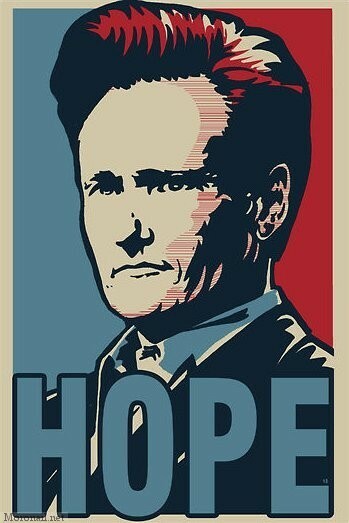 Tonight’s Tonight Show with Conan O’Brien will be the last. Conan is walking away with more than $30 million in eff-you dollars, and NBC will pony up another $12 million in severance pay for his staff, said to number around 200 people. ($60k per if everyone gets an equal share.) A non-disparagement clause will bind Conan from talking any more smack about his soon-to-be-former employer, at least for a few months. Fear not, the rest of the world will pick up the slack, I’m sure. Best of all, he’ll be free to return to TV as soon as September 1st. Whatever scenario Doug Wright had in mind when first he interviewed Charlotte von Mahlsdorf with the aim of writing a play about her, we can safely assume it was something more conventional than his prismatic meta-biography, I Am My Own Wife. 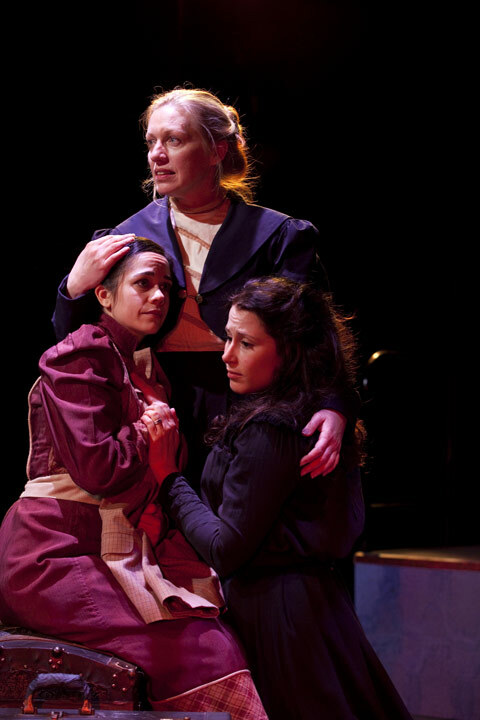 Wright’s single actor, multi-character opus won the Tony Award for Best Play and the Pulitzer Prize for Drama in 2004, more than a decade after Mahlsdorf first began recounting her strange (and possibly tall) tale into his tape recorder. 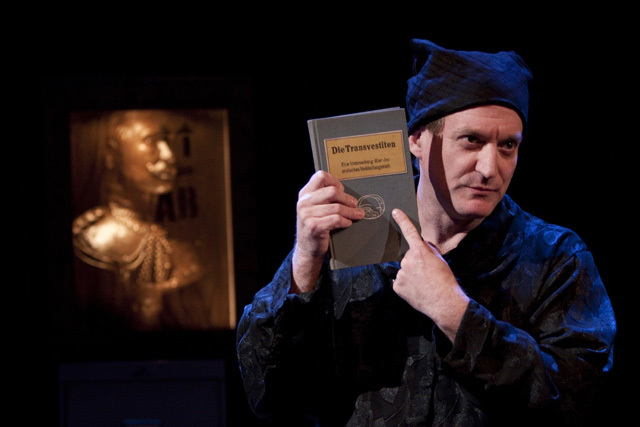 Along the way, the playwright grappled with a Berlin Wall of writer’s block, beguiled by premise-thickening revelations about a subject he’d initially hoped to venerate as a hero. But the complexity that so confounded him turned out to be the very thing that gives his play about a cross-dressing furniture collector in fascist East Germany an unlikely universal resonance. You probably noticed this last year when the Yeah Yeah Yeahs’s It’s Blitz! came out, but I just caught it now. Is its egg-crushing cover intended to portend a sequel or rebuke Wilco’s 2004 a ghost is born? Probably not. About the only commonality that leaps out at me among these two albums is that both found their makers using synthesizers and what I’ll call, for want of a better descriptor, more self-consciously artificial sounds than they had in the past. Wilco’s prior outing, their 2001/2 breakthrough yankee hotel foxtrot, probably had as much or more studio-generated soundcape on it than ghost, but the bleeps and bloops were less conspicuous, disguised as found tape or intercepted radio interference. 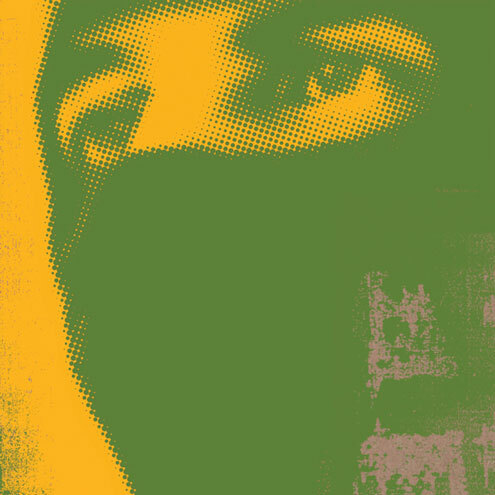 And foxtrot didn’t have a 12-minute ambient “sound installation” (as Wilco leader Jeff Tweedy called it) embedded in its penultimate track.